Why let your kids pick their own prescription glasses? Today's young generations are more independent and free-spirited that we used to be during our younger years. They have their own taste and preferences when it comes to fashion and style. There is nothing wrong with giving your children the freedom to choose the pair of prescription glasses to buy. But as parents, we must always be beside them to guide them and help them find the right pair that would best serve their purpose. This entry was posted in Blog On Apr 28, 2018 . 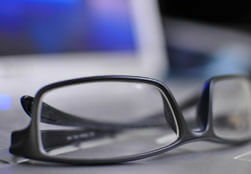 Wearing eyeglasses all the time can be both burdensome and annoying sometimes. But worry no more because we have here some tips and tricks that you can use to avoid or at least minimize such burden. This entry was posted in Blog On Apr 27, 2018 . Although women wearing prescription glasses are sometimes stereotyped as nerds, many men find them special. But a pair of prescription eyeglasses does not have to make you look older and less attractive. 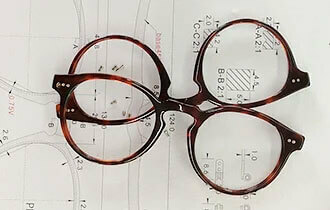 Follow these tips and quick guide and you will surely look fabulous even when wearing eyeglasses. This entry was posted in Blog On Apr 26, 2018 . Being stylish is very important for some kids. They tend to compare themselves with their friends and classmates at school. Kids with eye problems need a good pair of prescription glasses, something that is not only durable but also fashionable. To give you an idea what to buy for your kids, we have here a list of top 10 most fashionable prescription eyewear for toddlers and for kids this 2018. This entry was posted in Blog On Apr 25, 2018 . 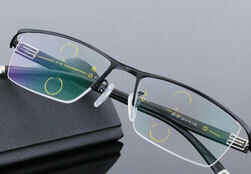 High-quality lenses are critical even for cheap glasses. They have some special features that low-quality lenses don't have. They also provide a few more advantages than the low-quality ones. Some of their advantages are as follows. This entry was posted in Blog On Apr 23, 2018 .